The deal of the week is the Tracfone LG 505C touchscreen QWERTY slider with Triple Minutes for Life on sale for $24.99 with free shipping at Amazon.com. The regular price is $49.99. ShopCellDeals Ebay store also has the 505C on sale for $25.99 new or $19.99 refurbished with free shipping on bothe. Other especially good deals this week are the T-Mobile Nokia Lumia 521 Windows Phone 8 for $149.99 with free car charger and free shipping or the T-Mobile LG L9 Android phone $179.99 with free shipping, both at HSN.com, and the reconditioned NET10 Samsung Galaxy Proclaim (Verizon) Android phone for $59.99 on the NET10 site. T-Mobile Nokia Lumia 521 Windows Phone 8 $149.99 with free car charger and free shipping. Free Motorola W418G flip phone with purchase of a $30 All You Need refill. 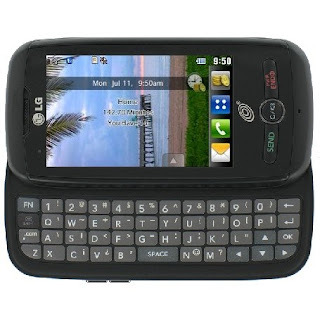 HSN has more prepaid phones on sale, like the Boost LG Marquee with accessories for $129.99.